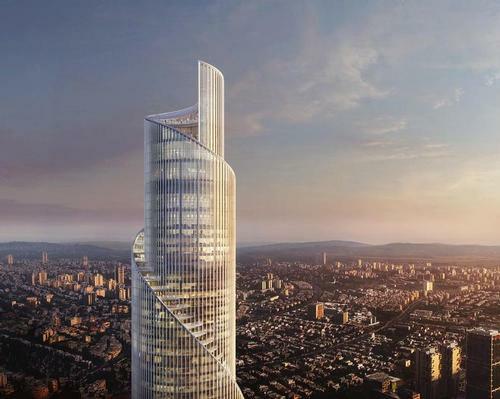 American architecture practice Kohn Pedersen Fox Associates (KPF) have unveiled their design for the Azrieli Tower, soon to become one of the tallest buildings in Israel. 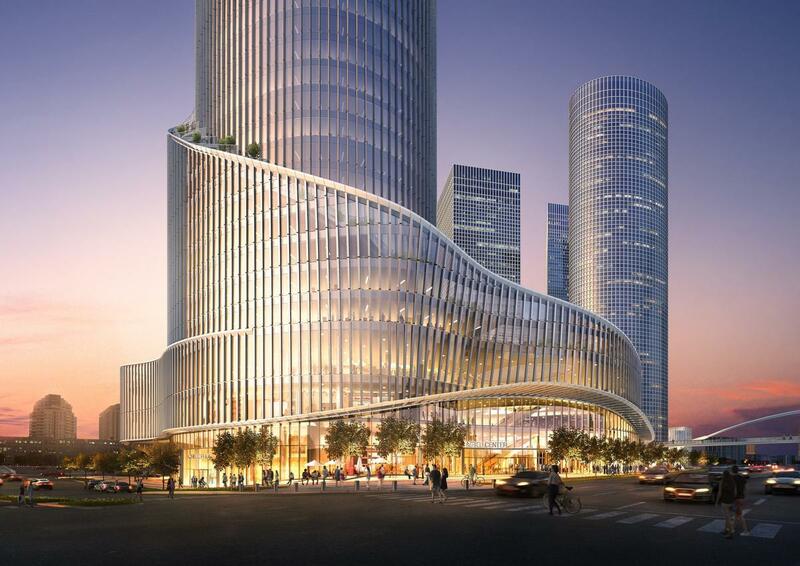 The new 340-metre, mixed-use tower – which will rise on the grounds of the existing Azrieli Centre – will comprise extensive residential, office, and retail facilities, as well as 1,393 sq m of hotel space. The key visual feature of the building's appearance is its spiralling façade, an aspect the architects say is intended to both resemble an unfolding scroll and "enliven the skyline with its aspirational form". The Azrieli Tower's design is also reminiscent of Renaissance-era depictions of the colossal Tower of Babel, a mythological monument that – according to The Book of Genesis – represented the combined ambitions of humanity. Engineering oversight for the high-rise's structural and aesthetic aspects will be provided by MZA and WSP. 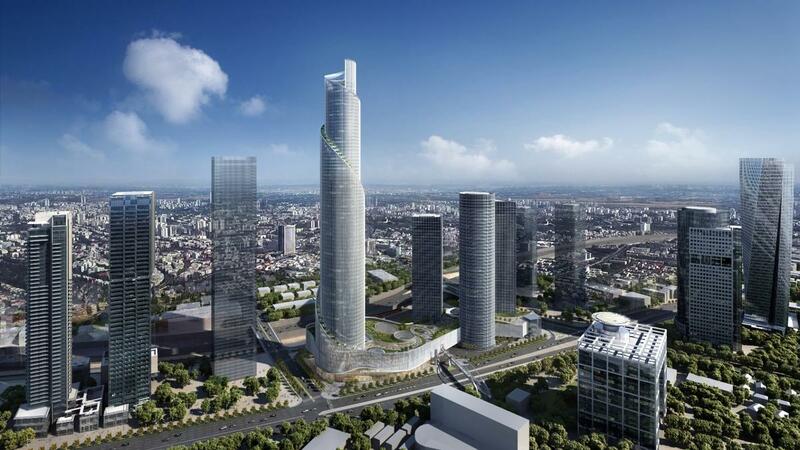 "The design allows us to unify the urban precinct of the Azrieli Center with the new tower. The spiraling façade appears to drape elegantly around the structure of both tower and base. As it embraces the existing complex, it unifies the four towers into a single composition. "The objective is to further invigorate this urban cluster, underscoring its importance as one of the most vital epicenters of Tel Aviv." 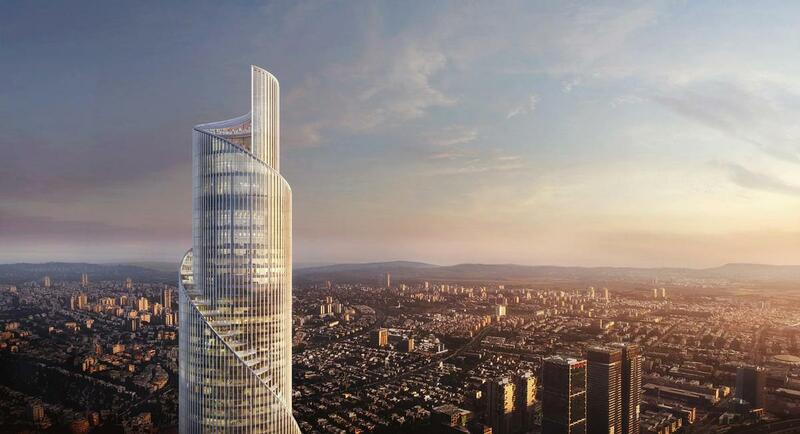 The future building – set to become the tallest in Tel Aviv, Israel – will resemble an unfolding scroll.